Gift of Gottfried Meyerhof, March 1987 and January 1992. The papers of Otto Meyerhof are organized in five series and include Letters to Gottfried Meyerhof, 1934-1951; Correspondence with American Scientists, 1941-1951; Correspondence with European Scientists, 1943-1951; Professional papers, 1913-1951; and Personal papers, 1900-1980. The letters to Gottfried Meyerhof are arranged in reverse chronological order while the correspondence with American and European scientists are arranged alphabetically. The principles of provenance were followed in organizing these series. Because many of the European scientists ultimately transplanted their careers to the United States as a result of World War II, it is advisable to check both series for a particular scientist. Access is granted in accordance with the “Protocols for the University Archives and Records Center,” 1990. Otto Meyerhof was born in Hanover on April 12, 1884, the son of Felix and Bettina May Meyerhof. Meyerhof earned his M.D. from the University of Heidelberg in 1909. He joined the medical clinic of Ludolf Krehl and while there was influenced by Otto Warburg to turn his attention and interest from psychology and philosophy to cellular physiology. From 1909 to 1911 he worked at the zoological station at Naples. Meyerhof accepted an appointment at the institute of physiology at the University of Kiel in 1912 becoming a lecturer in 1913 and associate professor in 1918. In 1924 he was appointed a member of the Kaiser Wilhelm Institute of Biology and in 1929 became the director of the department of physiology at the Kaiser Wilhelm Institute for Medical Research. In 1938, Meyerhof began his migration away from Nazi Germany, ultimately, with the aid of the Rockefeller Foundation, emigrating to the United States in 1940. He accepted a position at the University of Pennsylvania School of Medicine as professor of biochemistry. He remained with the University until his death in 1951. Meyerhof first conducted experiments on the energy changes in cellular respiration. This research led to discoveries on lactic acid and its relation to muscular energy. In 1923, he and A.V. Hill won the Nobel Peace prize for their important discoveries on this topic. In 1925 Meyerhof successfully extracted the enzymes that convert glycogen to lactic acid from the muscle. 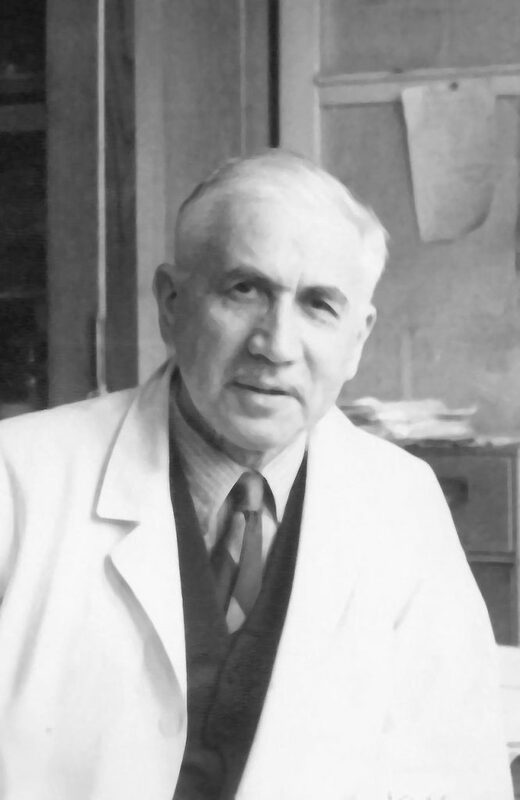 Subsequent research confirmed work done by Gustav Embden in 1933, and together they are credited with discovering the Embden-Meyerhof pathway — the pathway involved in the conversion of glucose to lactic acid. Meyerhof was an honorary member of the Harvey Society, the Royal Society of London, and Sigma Xi. In addition to his accomplishments in science, Meyerhof wrote poetry. He married Hedwig Schallenberg. Together they had three children, Gottfried Meyerhof, Walter Erst Meyerhof, and Mrs. Donald E. Emerson. This small but important collection documents a range of professional and personal activities of Otto Meyerhof. Letters represent the bulk of the collection and these are divided by topic. Letters from Otto Meyerhof to his son, Gottfried Meyerhof, written in English and in German, are rich in details of daily life including his professional interests as well as his travels through Europe as he fled Nazism. The correspondence with American and European scientist overlap somewhat and cover a range issues. There is information and advice on scientific experiments as well as letters of recommendation for colleagues escaping Germany during World War II. Correspondents include E. Elisabeth Blencke, F.L. Breusch, Carl F. Cori, H.J. Deuticke, M. Dubuisson, Encyclopedia Hebraica, Hermann O.L. Fischer, L. Genevois, Walter Guttman, A. Szent Gyorgyi, Otto Hahn, A.V. Hill, W. Kiessling, Richard Kuhn, Julius Kraft, M.V. Laue, Rudolph Landenburg, Fritz A. Lippman, Herman Mark, Karl Mechlenberg, Gottfried Meyerhof, A.V. Muralt, David Nachmansohn, Hans Nachod, Severo Ochoa, Paul Ohlmeyer, George Sarton, Walter Schultz, Harlow Shapely, R. Siebeck, F.W. Spemann, Arthur Vandyk, George Wald, Otto Warburg, Hans Weber, and D. Wright Wilson. There is a small group of professional papers including information on the Emergency Society of German Scholars in Exile, a listing of his experiments from 1913 to 1938, articles and reprints, and Metabolism and Function , a collection of essays dedicated to Otto Meyerhof in 1950. Personal items such as poetry, photographs, memorials, clippings, and his final diary finish out the collection. Emergency Society of German Scholars in Exile. World War, 1939-1945–Evacuation of civilians. World War, 1939-1945–Personal narratives, Jewish.